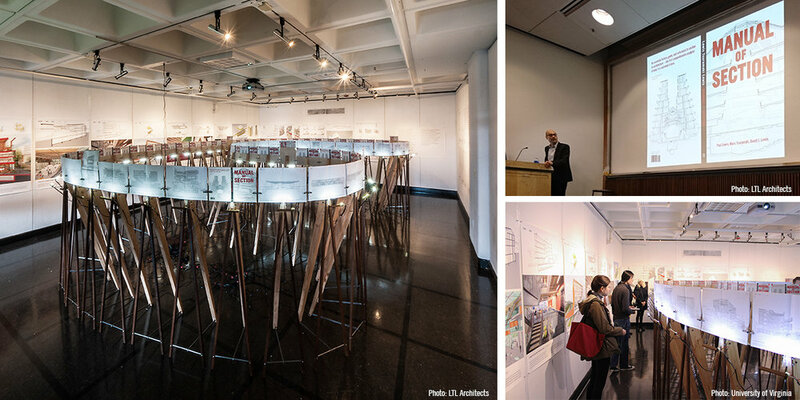 The Manual of Section Exhibition opened at the University of Virginia School of Architecture on Monday, followed by a lecture by Marc Tsurumaki. The exhibit is up until March 17th. Exhibit at Knowlton School Banvard Gallery opens Wednesday October 5. 2016 (through Nov.4). Please join LTL Architects for the opening of Structures of Coastal Resilience: Designing for Climate Change, at the Center for Architecture on Wednesday, February 3, 6-8 PM. Structures of Coastal Resilience is a multi-team project supported by the Rockefeller Foundation to address rising sea levels and storm surges in coastal cities. Out of the four proposals, this show will display the two closest to home in New York City. Princeton University/LTL Architects' proposal, "The Amphibious Suburb: Atlantic City, NJ" will appear alongside City College of New York's plan for Jamaica Bay, NY. Please RSVP for the opening here.